Documentary maker Lance Cooper worked on a lot of historical documentaries for museums and others. This was for a museum in Amory, Mississippi. Local legend has it that the idea for ''Blue Suede Shoes'' was spawned at a concert in Amory that featured Carl Perkins, Johnny Cash, and Elvis Presley. Try to imagine what Carl's career would have been like without this song. It was only his third record and nobody expected anything this big. How could they? Sam had sold some records on Elvis, and on ''Bear Cat'' (Sun 181 ) but never like this. W.S. ''Fluke'' Holland reports, ''I've read lots of versions of how this song got written but I still has haven't seen the whole story. Here's what happened our band, Elvis band, Cash's band, all of us were touring together back 1955. It was through that agency Sam and Bob Neal had created called Stars Incorporated. We had two releases by then and we and the Cash band had become real close friends. We were driving around, must have been around Fall of 1955, and Luther (Cash's guitar player), got into my car and I got into Cash's car with John and Marshall Grant, who's driving. Cash is sitting in the back seat behind me and Perkins is next to him. John stretches his legs out and puts them on the back of the front seat where I'm sitting. John had gotten out of the Air Force about a year ago and for some reasons he's thinking about shoes. So he looks at his own feet and says, Carl, we ought to write a song about some shoes. A few minutes later he repeats it, only this time he says, 'some Blue Suede Shoes''. ''That's all there was to it. Now the trip's over and we're back home and playing in a little club out there called Tommy's Drive-In. There's no sound system or nothing like that. No stage, we're just in the corner. And this boy and girl dance by and the boy says to her, 'Don't step on my new shoes. He doesn't say nothin' about 'blue suede'. Just 'new'. I guess he had him some new shoes on when he said that. And Carl went home that night and the rest of the story is probably true, about Carl written the words on an empty potato sack''. Surprisingly, there are only three takes of ''Blue Suede Shoes''. Most of us know one of them by heart. Here are the other two. As you listen, bear in mint that, once again, Sam picked the correct one for release. On the first outtake, which was also the first take of the song, Carl begins with ''Go boy, go'', which Phillips quickly suggested Carl change to ''Go cat, go''. Surprisingly, Carl's guitar solos are pretty much as on the issued version. The lyrics, too, are pretty similar. Both of these things are unusual for Carl Perkins outtakes where change was often the byword. The general mix and recorded sound are also similar to the released version. The biggest difference appears at the closing – what we don't have here is the extended ending with Carl singing ''Blue, blue, blue suede shoes...'', under his guitar boogie. Without this feature, the ending is abrupt, or at least it seems that way after we've spent half a century with the released version. And note that the song ends on a 1-7 chord, instead of the 1-6 of the original release. That's not just technical talk for musicians, those chords feel very different. The second outtake (which was actually the third take in the studio, Sam released the middle one) features ''Go cat, go'' on both the start and ending. This time Carl sings the more rural phrase, ''Drink my corn'' rather than ''Drink my liquor'', which is what we've grown accustomed to hearing. Compared to the single, the vocal performance here seems more exaggerated or stagey. These are the kind of vocal inflections you might expect to hear as Carl winds up for the final verse, yet they appear at the start here. On this version Carl again uses the extended ending that we know from the single. But this time he's singing too much. There are too many lyrics here instead of simple repetition of the little phrase, as happens on the single. The effect seems contrived like the issued version, the song ends on a 1-6 chord here. BLUE SUEDE SHOES / HONEY DON'T! Rock and Roll and Rockabilly Pioneer. Although Perkins is closely associated with his current hometown of Jackson, Tennessee, he was born in the far northwest corner of the state, close to the banks of the Mississippi. 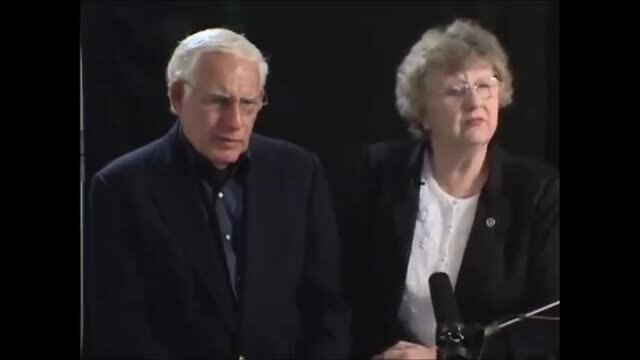 His birth certificate gives his parents address as Route 1, Ridgely County, Tiptonville, Tennessee, and their names as Fonie "Buck" Perkins and Louise Brantley. 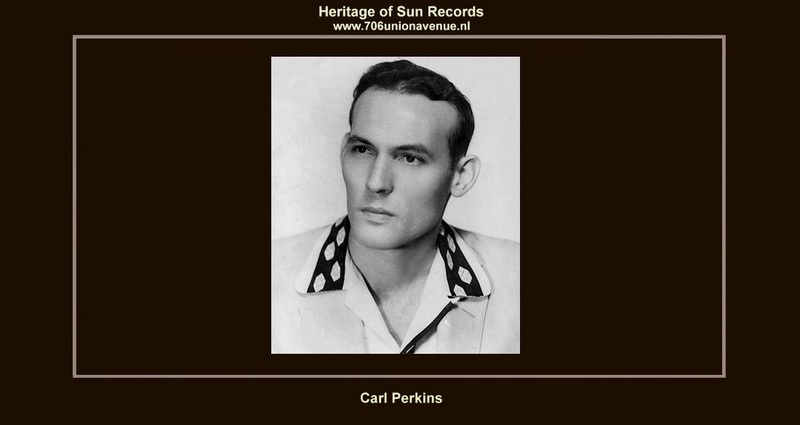 Their second child, born on April 9, 1932, was christened Carl Lee Perkins. The misspelling of the family name suggest that the literacy of government employees was barely a notch higher than that of the people they were cataloging. It was the height of the Depression, and Buck Perkins was a sharecropper without a market. The family lived first in a three-room shack and then in a one-room storehouse. The kids in the neighbourhood brought castoff clothes for the Perkins brothers, and Carl has often told the story of how kid asked for his pants back after Carl had tackled him in a football game.